Oh, how I love the cooler weather! I look forward to it every year, and can’t wait to nestle in on a rainy day with soups in the slow cooker and wine by the fireplace. It’s seriously my idea of bliss. : ) But, with the cooler wet weather comes a whole new set of things to think about with regard to home maintenance. So, jump in and get these chores out of the way now! A little preparation ahead of time, and you’ll be sitting by the fire too, with peace of mind that your house is ready. 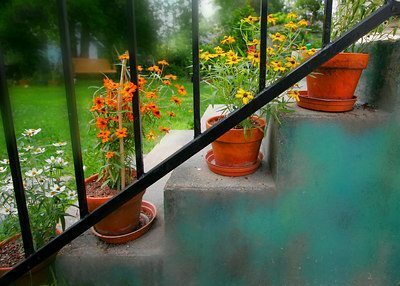 Dump the Standing Water ~ The rainy season is on its way, so if you have open containers on your property such as flower pots or bird baths, they’re going to fill up. Do you like slimy, green algae? I’m thinking the answer is NO. Keep it from forming by either storing them away, or just do what I do, and turn them upside down! 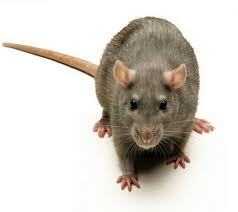 Clear the Clutter ~ There’s nothing that annoys me more than pests and rodents around my house. Rats lurking in the shrubs? Eeekk! Extra clutter around the perimeter of your home is the perfect hiding place to escape the colder weather, so get these areas tidied up now. Trimming shrubs up away from the ground will strongly discourage rodents from camping out on your property. Tip: If you have ivy on your property, you might as well put out a welcome mat! I know this from personal experience, and I was not a happy homeowner! Walk the perimeter of your home and look for openings that would allow them access, and get them sealed up. Even a quarter-sized opening is large enough for a rat to squeeze through! Insulating spray foam sealant works great, and is available at any hardware or home improvement store, in a variety of brands. Furnace Filter Check ~ Though your filters should be checked more than once per year, it helps to use Fall as a reminder for this basic maintenance. Your furnace is the blower unit for both your heating AND air conditioning, so it’s been cranking away all summer long! Change the filter often for maximum performance and energy efficiency. I hope you found these tips helpful, and I know there are many other ways to prepare for Fall. If you want to think ahead to even colder weather, I’ve got some tips on this previous blog post too. I’d love to hear your comments and ideas! Great tips, Kathy! If you don’t mind, I’m going to repost this and introduce you in the next day or two on my blog – http://www.loansbyireneblog.com – since it’s right in line with my industry too. Thank you for sharing such valuable and important information! Ah! Rats! It is so important to seal your home, we just did that and now I can sleep at night! Great tips! Kathy, what great ideas to get us going to a “feet-up-in-front-of-the-fire” position! My personal favorite position (along with a cup of hot tea) in the winter. The information about the vermin prevention was all new and much appreciated. I am grateful about the picture choice! I am putting the filters on the Honey Do List. For anybody out there who still has a fireplace or wood-burning stove, cleaning the flue should be added to the list (alongside checking the furnace filters!). And what a good idea to get all these projects out of the way before “sitting by the fire” (or just about anything else) sounds like a *much* nicer activity than pest-prevention. Anytime the season changes, certain jobs have to be done. 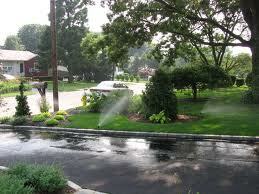 Sprinklers that are older may be harder to adjust. If some of your equipment is getting along in years, you might consider purchasing some new parts. Nice ideas Kathy….. 🙂 Simple tips….. But nobody takes care of them. If everybody follow this tips, can avoid many health problems in rainy season.